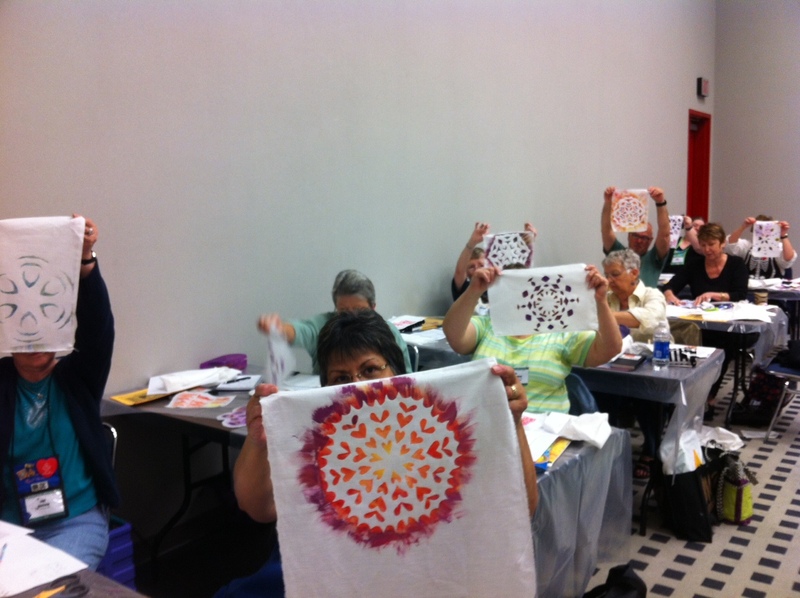 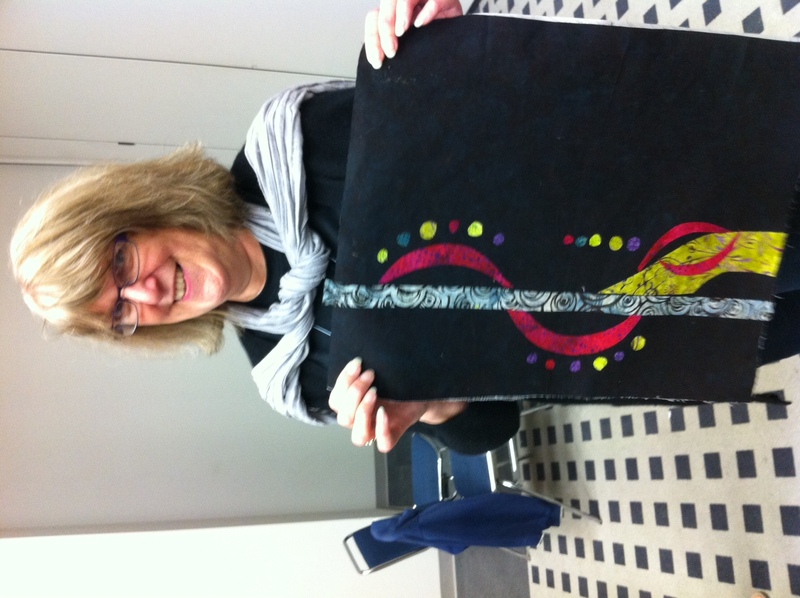 I taught 5 classes in four days, gave one lecture and participated in the Mixed Media Sampler at the International Quilt Festival. 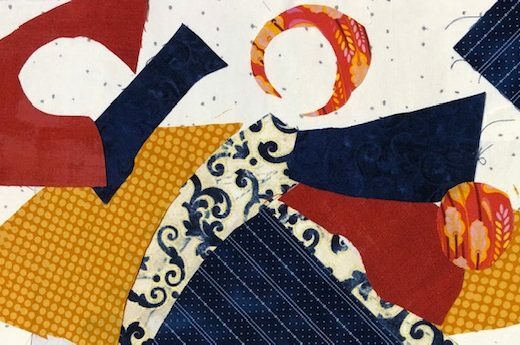 It’s exhausting and exhilarating all at once. Abstract-a-licious was a fabulous class! 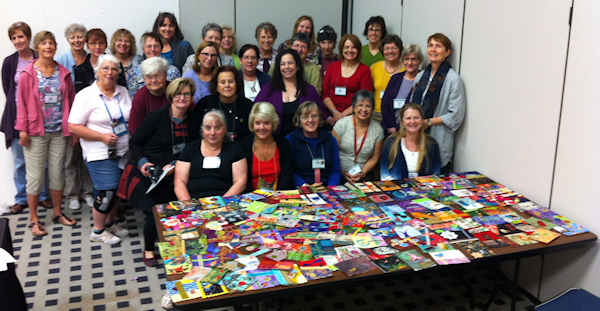 A whole room full of amazingly creative women who created their own original designs by the end of the day. 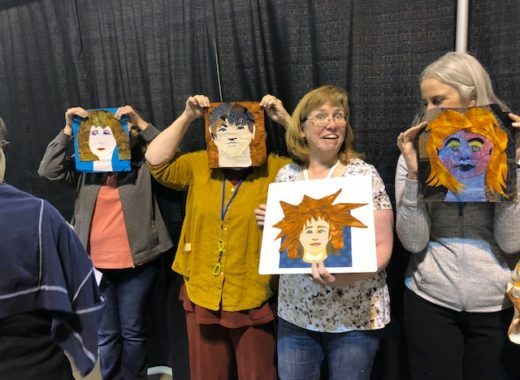 The packing and getting ready is almost impossible although I had enough time this go-round to ship my seven boxes of student supplies early. 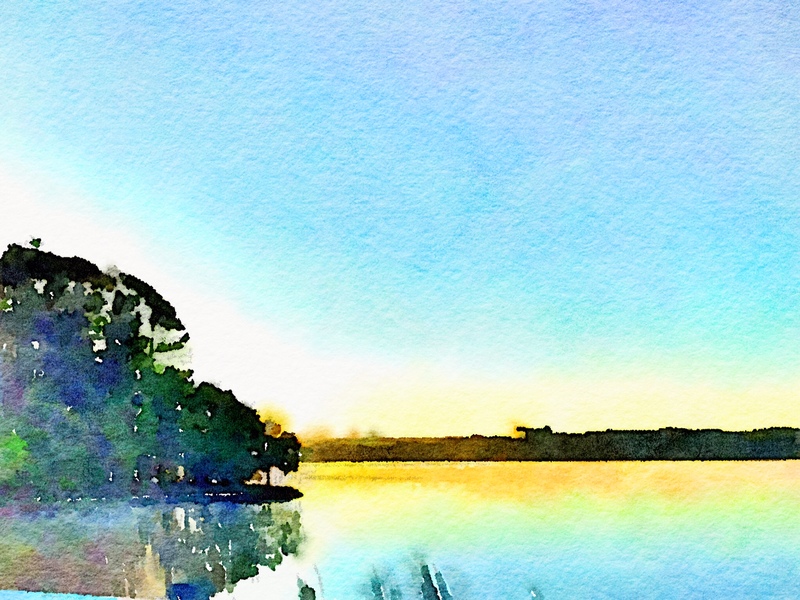 I took a week to get my two 50lb bags, and carry-on, and briefcase full of AV equipment well packed. 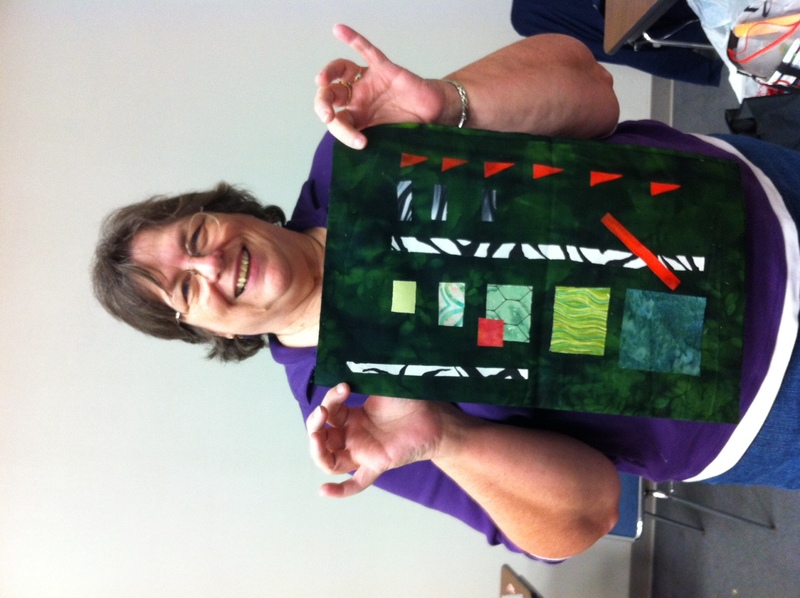 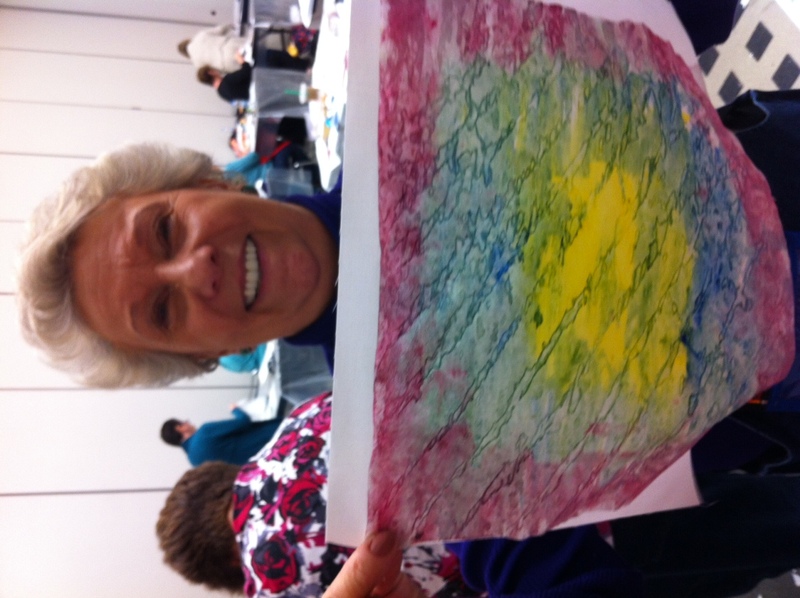 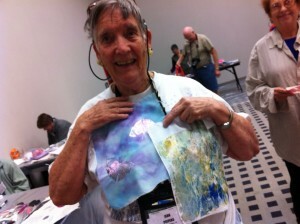 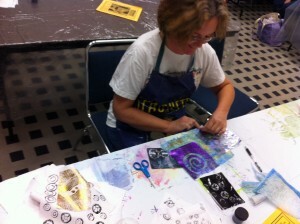 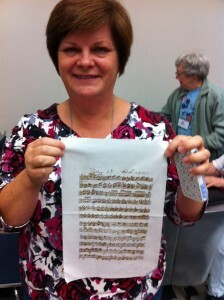 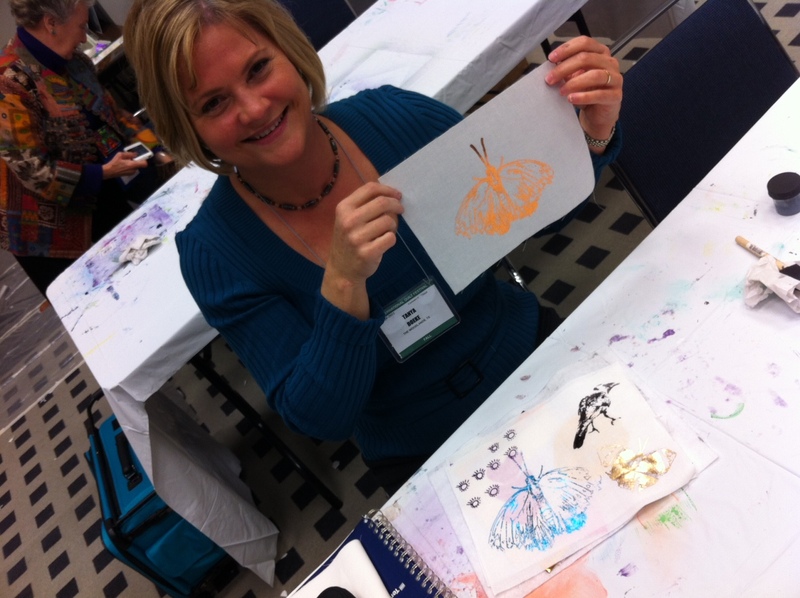 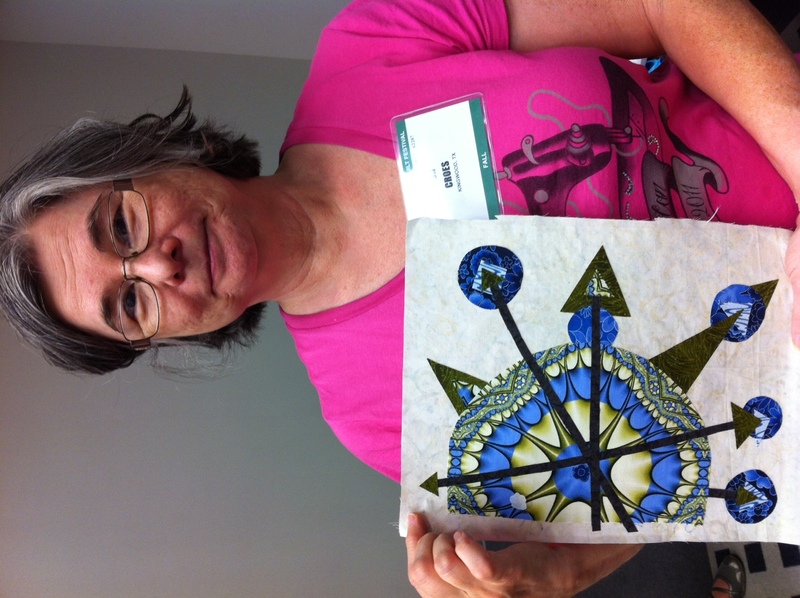 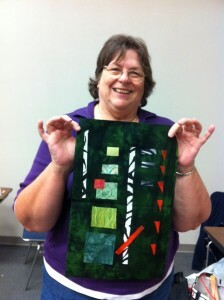 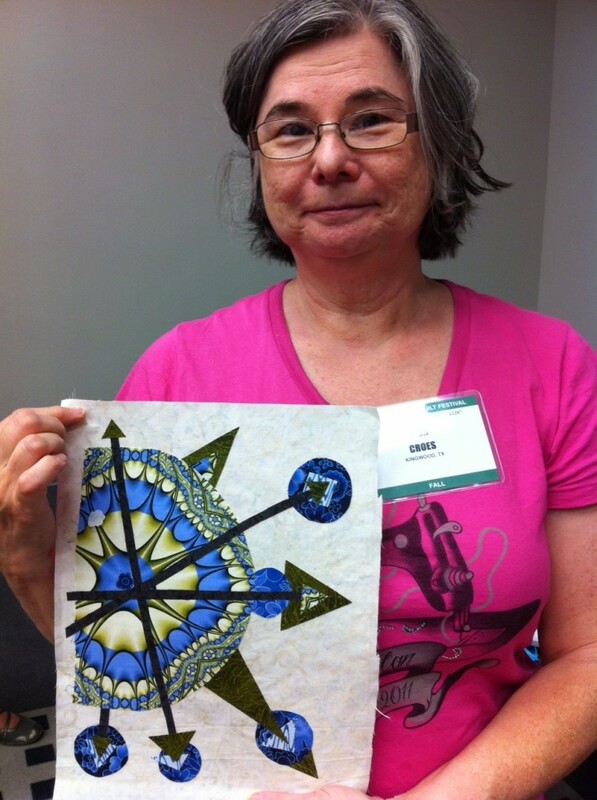 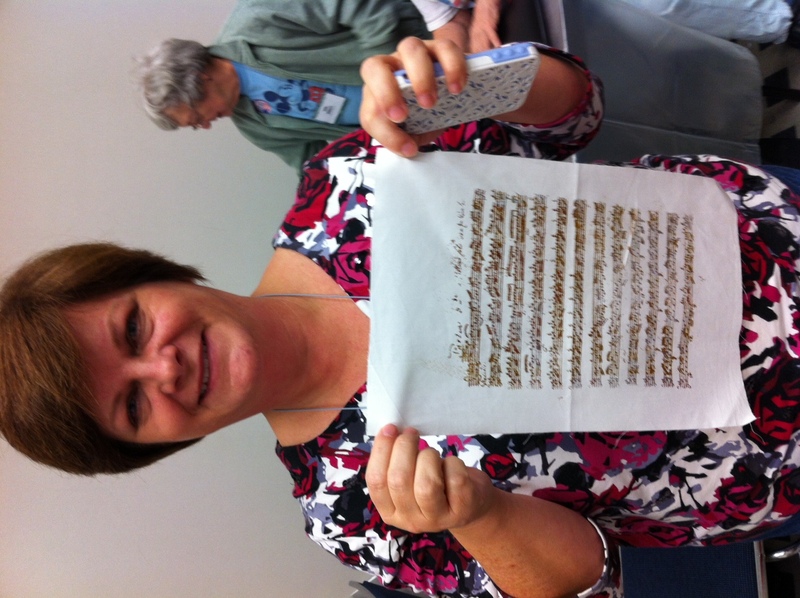 “Just Foiling Around” is a fun and funky class where we play with things most quilters haven’t had a chance to before. 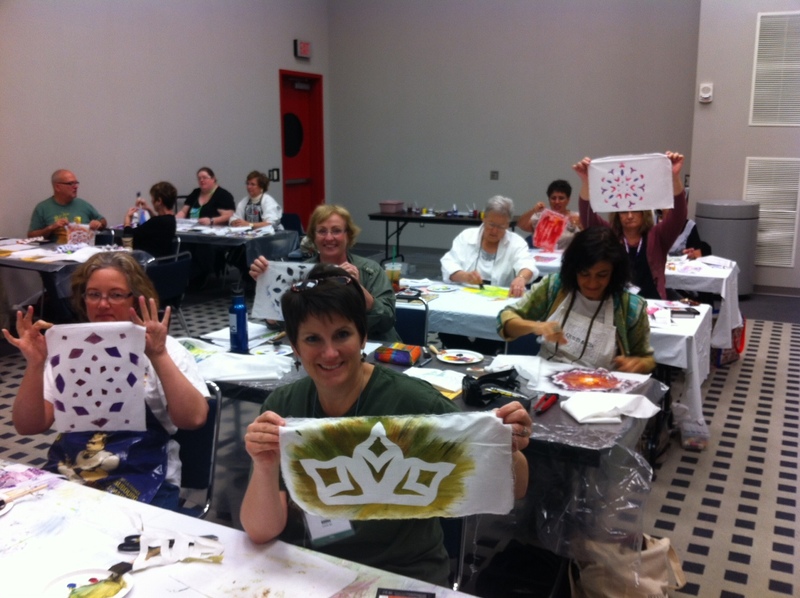 Lots of glitter and shine! 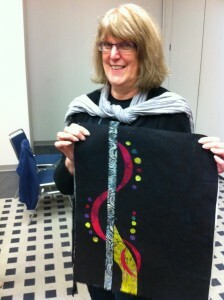 But once I get there with the students it is all worthwhile. 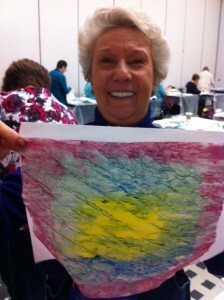 oh love those abstracts. I would LOVE to learn how to do that.